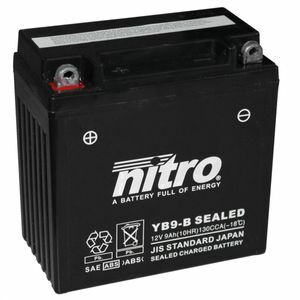 The website is very good, identifying the correct battery was simple. They are also very competitively priced. The battery arrived promptly and well packed. This is one of those products I was not so sure could be ordered online, but from Tayna it was more than easy, I would always use them again. I've just bought this sealed battery to replace an old conventional one, also from Tanya. Well packaged and delivered quickly. Here's hoping it performs as well or better than the last one. Arrived next day as promised. Perfect fit. I had a technical query about the battery and was answered immediately. Great service! Arrived rapidly, and product was as described. Fits and works... Not much more to say! so far so good, spot on replacement battery for by 1971 Triumph Tiger 650, I like the fact that it will not need to have the cells topped up with distilled water . Delivery was prompt and the price was very reasonable. Tayna is a company that I have used before and would certainly recommend to all. This battery was delivered quickly. It was packaged well and was exactly what I wanted.